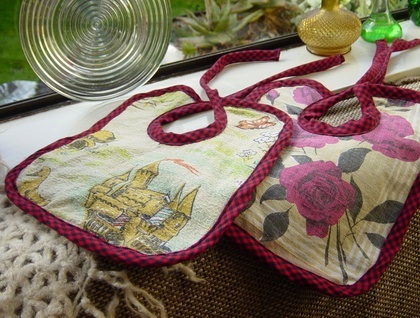 "these bibs are made from vintage barkcloth on one side and cotton corduroy on the other. cotton handmade bias trim all round edges. funky, fun and functional!